Manage your digital art scrapbook. Is there a better alternative to iScrapBox? Is iScrapBox really the best app in Author Tools category? Will iScrapBox work good on macOS 10.13.4? 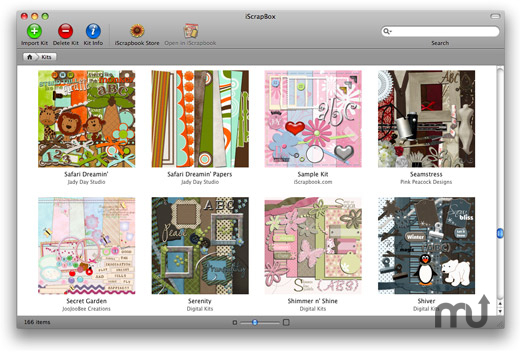 iScrapBox makes managing your digital scrapbooking artwork easier than you ever thought possible. Use iScrapBox to quickly browse and search your collection of iScrapKit artwork for the perfect image. Then add the image to your scrapbook page with a single click. iScrapBox works with popular scrapbooking software like iScrapbook and with popular graphics-editing software like Adobe Photoshop. iScrapBox needs a rating. Be the first to rate this app and get the discussion started!